Learning to read and write music is very similar to learning a new language. Music theory is the study of the fundamental elements of music and how it is written. Music Theory For Beginners was developed for anyone interested in learning to read and write music, a task that can be quite daunting for novices. This book, however, will allay any fears and set you on the path to learning what all those dots, lines, and symbols actually mean. It provides the necessary scholarly muscle to entice and inform the reader, yet it does not require any prior knowledge of music or force the reader to wade through hundreds of pages of jargon and details. 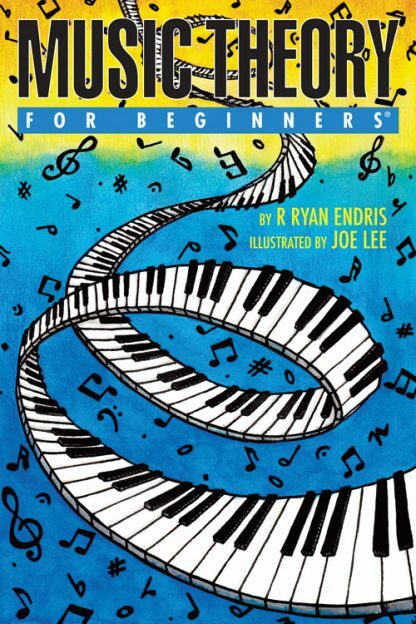 Whether your goal is to gain a cursory understanding of music, become fluent in reading music, or start composing your own music, this text will provide everything you need for a solid foundation in music theory. Anyone can pick up Music Theory For Beginners and instantly start learning about�and understanding�music theory. R. Ryan Endris, D. Mus, currently serves as Assistant Professor of Music and Director of Choral Activities at Colgate University. He is also in demand as an arranger of choral and instrumental music throughout the country, and his arrangements have been heard by audiences around the world. Dr. Endris holds Doctor of Music and Master of Music of Choral Conducting degrees from the Indiana University Jacobs School of Music, as well as a Bachelor of Music Education (K-12 Choral/General Music). He has studied voice with internationally acclaimed soprano Sylvia McNair, and his conducting teachers and mentors include Robert Porco of the Cleveland Orchestra; John Poole of the BBC Singers; Dale Warland of the Dale Warland Singers; and Vance George, Director Emeritus of the San Francisco Symphony Chorus.